Repair works will be fully localized in India. Technodinamika (a Rostec company) will shortly open a service centre in India, for repairs and maintenance work on various Russian-made aircraft, and ensure parts are always available for Russian airplanes and helicopters operating in India. “ASC Aeronautical Equipment, part of the Technodinamika Holding, will open a service centre in India before the end of the first quarter of 2016,” Oleg Vasiliev, CEO of the Aviation Service Center (ASC) Aeronautical Equipment, a member company of the Technodinamika Holding, told RIR..
“This company will be engaged in repairing Russian military vehicles currently operating in India, supplying accessories and ground equipment, and ensuring all aircraft and helicopters have the parts they need. Technodinamika has already concluded long-term agreements for repairs with local operators,” Vasiliev said. In particular, they will repair and maintain components of the Antonov and Ilyushin transport aircraft and Mi series helicopters. Active work on organizing repair works in India started last year. In early 2015, ASC became accredited with the Indian Air Force, giving it the opportunity to participate in tenders for supply of components and assemblies, as well as maintenance of the Air Force’s aircraft fleet. “Repair works will be fully localized in India. A joint venture is now being created with the Indian side. 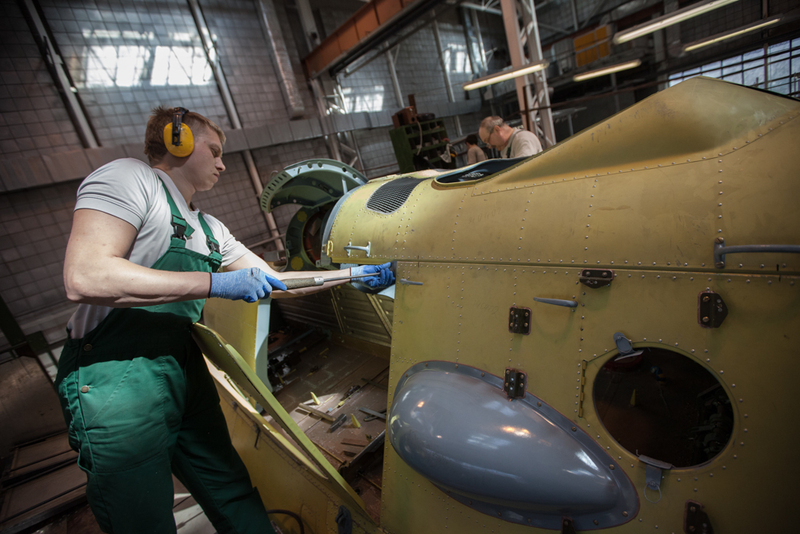 Repair and maintenance of aircraft in the service centre will be carried out by local staff who will be trained by our specialists. The centre will be provided by all the necessary repair documentation and, in fact, this will be an Indian company. At the same time, the Air Force will receive guaranteed scheduled repairs and quality at manufacturer prices,” said Vasiliev. Earlier, the head of Technodinamika Maxim Kuzyuk informed Russian media that such centres would start operating in Peru, China, and several African countries. Technodinamika (part of the state corporation Rostec) – is a leading developer and manufacturer of equipment for aircraft, including landing gear, fuel systems, flight control systems, and auxiliary power units. In addition to aircraft equipment, the holding produces parts and components for other industrial sectors such as oil and gas, automotive, transport, and energy.